Georgia, a Pit Bull was adopted and thus rescued by Nancy after having been used as a bait dog to teach other dogs to fight. Through Nancy, Georgia had a new beginning on life but she was fearful and therefore reactive toward other dogs. Through private dog training sessions with Michael Burkey, a professional dog trainer and owner of Michigan Dog Trainer; Nancy learned how to train Georgia to be calmer around dogs using desensitization and habituation via food rewards and to respond to obedience commands via a remote collar training system. The remote collar (some incorrectly refer to it as a shock collar) uses low level stimulation to interrupt a dog’s inappropriate behavior and to communicate to the dog what is the desired behavior. 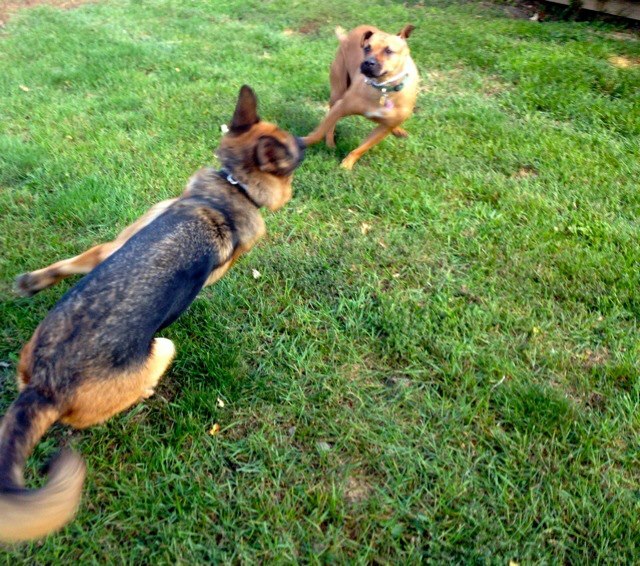 Once Georgia learned to relax, she started to show a willingness to play with other dogs. 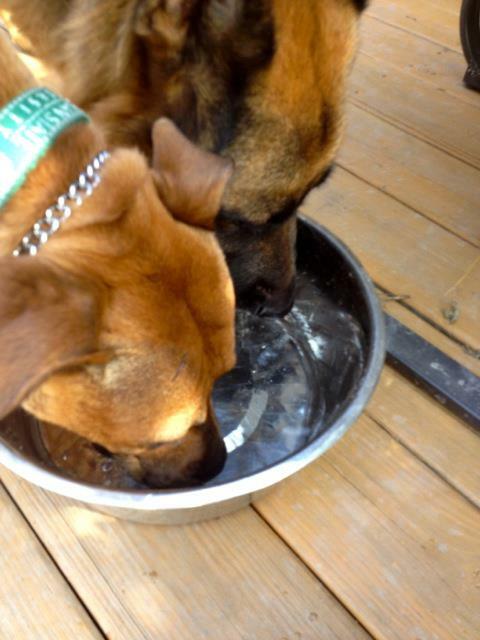 So she was introduced to Starbuck, a friendly German Shepherd. At first she was a little nervous but quickly learned to relax and display behaviors meant to elicit play with another dog. Georgia and Starbuck had several successful online play sessions. Then when Nancy went on a weekend trip, Georgia stayed with Michael and his dogs via the Home Away from Home program (HAH), a personalized home boarding program. 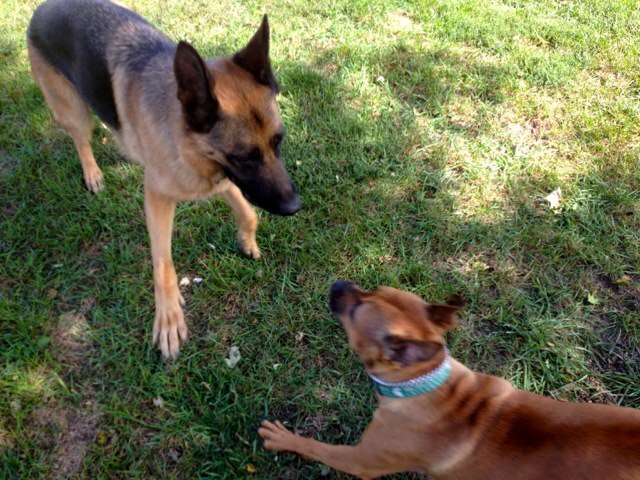 Over the weekend, she experienced several off leash play sessions with Starbuck as well as interaction with other dogs. 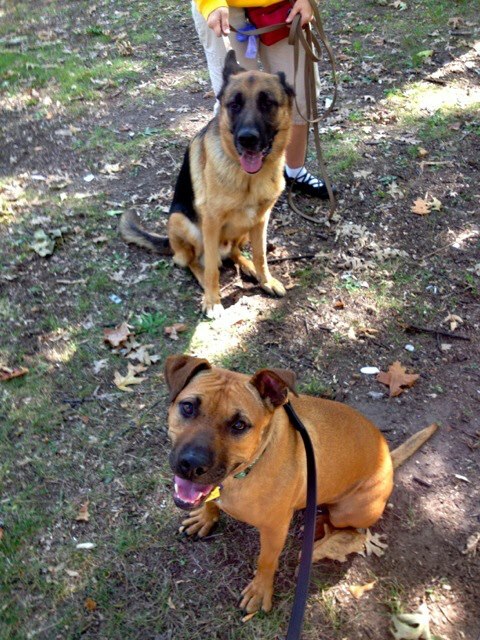 In a message dated September 24, 2012, Nancy stated Georgia’s HAH weekend was the best weekend of her life as she developed her first friendship with another dog. Georgia’s progress is a result of owner commitment and love exhibited by Nancy. We’re happy that we could be a part of her rehabilitation. Great job Georgia and we welcome you back anytime! This entry was posted in Aggression, Remote Training Collar, Testimonials & Case Reviews and tagged aggression, bait dog, dog aggression, German Shepherd, michael burkey, Michigan Dog Trainer, Pitt Bull, private dog training, professional dog trainer, remote collar, shock collar. Bookmark the permalink.